Mt. 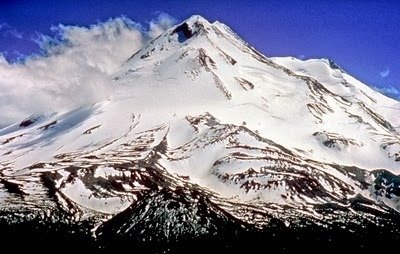 Shasta inspires awe in everyone who sees it, but for Native Americans, it’s also sacred, with many myths and legends surrounding its beauty and power. 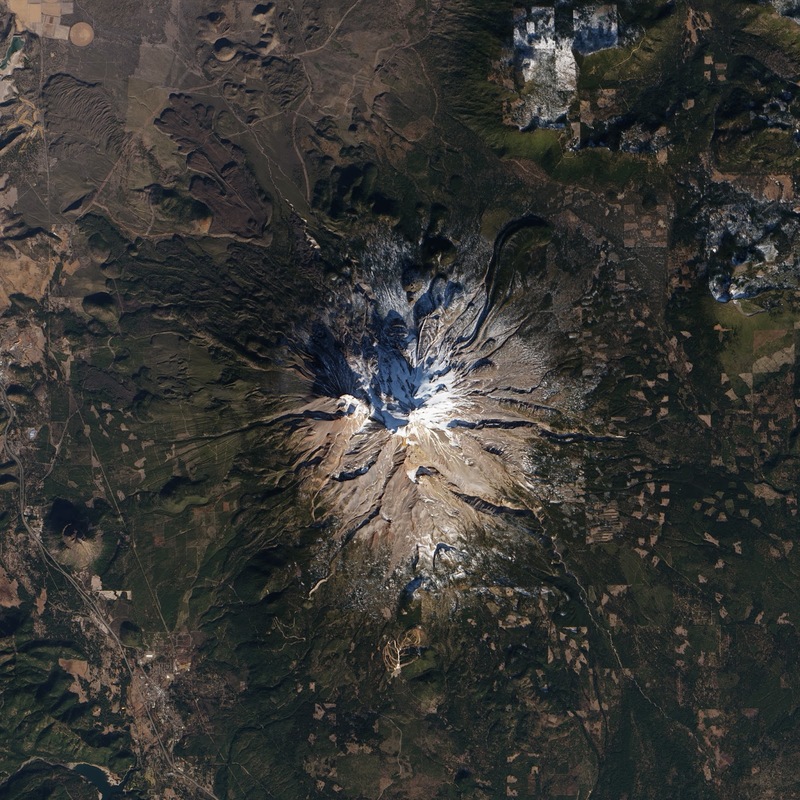 Some of those tales say the mountain’s crater is home to Mother Wind, who jealously guards her beautiful daughters against the advances of undesirable suitors dwelling beneath them. 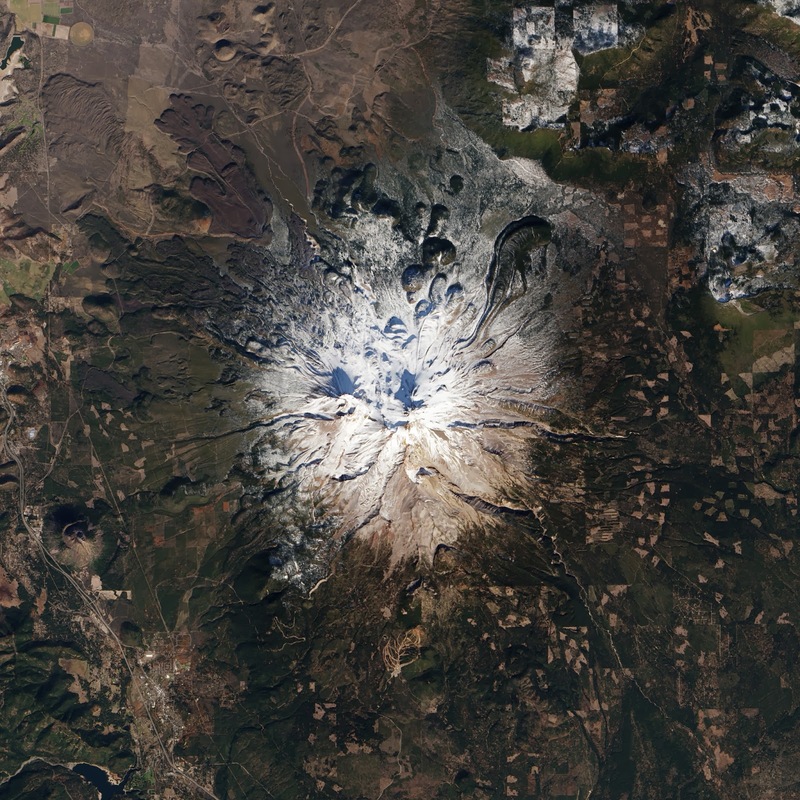 Whatever the story, the volcanic mountain provides water from snow pack the entire state depends on for survival. Runoff in the spring helps fill Shasta Lake, a man-made reservoir that has a water storage capacity of about 4.5 million acre feet, the state’s largest storage facility. On January 18, 2014, the reservoir level was about 1.8 million acre feet, 36 percent of capacity, about half the average for this time of year. Without any rain or snow in California this fall and winter, the Governor has officially declared a drought emergency. 2013 was a dry year. 2014 looks to be worse than dry, a parching dry like licking hot rocks in the Mojave Desert, dry like dust in the Santa Ana winds, dry like spontaneous combustion—bones, splinters reduced to ash. As a state, we’ve been dry before. U.S. Geological Service researchers note the droughts of 1928-37 and 1976-77 were similar—both are unsurpassed in severity among California droughts of corresponding duration, based on data going back to 1827. Researchers say the drought of 1928-37 was longer and accumulated a larger runoff deficiency than any in history. The drought of 1976-77 was more intense, however, and had greater annual deficiencies in runoff. Droughts aren’t always statewide. Sometimes one part of the state is hit worse than others. The first drought I remember living through was in 1951 in Marin County, an area known for green pastures, redwood trees and sweeping views of the ocean. Experts say that drought ranks as the driest of record at several coastal gaging stations. It is exceeded in duration and severity only by the drought of 1928-37, but the drought of 1951 is not well documented, researchers found, perhaps because it was more localized. My family owned a small ranch near Samuel P. Taylor State Park at the time and I remember going with my mother in her 1949 Hudson Hornet, a boat of a car that had advantages around the ranch because of its cavernous trunk, to the natural spring near the park. Our wells went dry in 51, at the end of the statewide drought that lasted about four years — from 1947 to 1951, but was most severe in Marin during that last year. We loaded cans and jugs into the Hornet’s trunk and drove off to collect water. We did this every few days, used an outhouse, washed in a basin. This routine went on for quite a while. I remember coming to the spring with my Mom and finding vehicles lined up. To my child’s eye, it seemed like a lot of cars and trucks were there, people waiting turn to fill containers. I got out and stood by the road, walked a few steps as vehicles inched forward, watched the grown ups catching and protecting every water drop. Only about 85,000 people lived in the county at that time, compared to about 250,000 now. I heard my mother talking days later with a neighbor about a fight that broke out at the spring. The sheriff was called and they were threatening to close access to the water. My mother sounded worried. I remember missing my father then, knew in my child-thinking he could fix anything and fight for the water if he needed to. He was in Korea at the time, recalled after WW II, serving as a parachute jump master with the 82ndAirborne. We were alone on the ranch. My mom and me and my little brother tended to the animals. My great uncles came down from their ranches in Lake County to help with the heavy work from time to time, but in reality no one could fix the problems created by lack of water. Everyone suffered and we ended up selling all our animals. But, that dry spell was followed by floods between 1950 and 55. You can look it up: After virtually every severe drought, devastating floods follow. The floods of December 1955 occurred after it had rained in coastal areas on 39 of 44 days. The drenching covered two-thirds of California, killing 76 people and causing nearly $200 million in damage. Levees failed, homes were destroyed, animals were washed away. Since then, I’ve lived through many severe dry spells and heavy floods. What I’ve learned is that we’ll survive if we remain calm and plan, collect our fair share of the limited supplies nature provides and use it wisely, cooperate with each other and form opinions based on facts about what should be done in a larger sense to make it through dry times in the future. In California, Mother Wind provides for her children, but not in even measure. It’s a fact: We don’t have enough water storage capacity in California to ensure the survival of 38 million people and still guarantee we can grow enough food to feed them even if we’re hit with a moderate drought or minor flood. Keep an eye out for water saving suggestions from your local communities, water districts and state agencies. Share them with friends, along with your own techniques for saving water, so we can make it through the coming dry days together. this was really informative. thank you for sharing. time to conserve water! Thanks for stopping by the Word Garden, Catherine. I'm covering the drought situation as a reporter, and, yes. The water outlook is truly grim. It is time to look at every drop of water we use and make sure they are used wisely. I appreciate your responsse.